Here we are again….time to turn our Emmy Nomination Predictions to Best Lead Actor in a Drama Series! In some ways this should be the easiest category to call, as all of last year’s six nominees are back in the running. 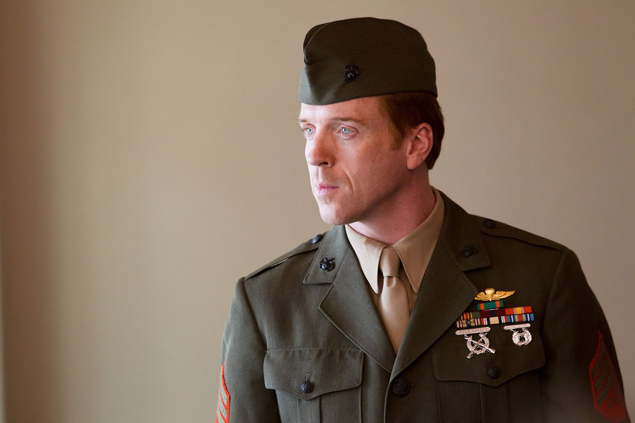 Of those who made the cut last year, Homeland‘s Damian Lewis, who took home the prize, is a shoo-in to return; so are Breaking Bad‘s Bryan Cranston and Mad Men‘s Jon Hamm. (Will this be the year Hamm finally wins this thing?) I’d also be surprised if Buscemi didn’t find his name called again. However, with strong performances in new series, could Michael C. Hall, who has been nominated the past five years for his performance on Dexter, be vulnerable? And since I predicted Downton Abbey actors who were nominated last year would get shut out in the Best Actress and Best Supporting Actor races, will Hugh Bonneville find himself also left out in the cold? Among the upstarts who would like to take their places are Bates Motel‘s Freddie Highmore (love him! ), The Americans‘ Matthew Rhys, The Newsroom‘s Jeff Daniels and Oscar-winner Kevin Spacey from Netflix’s House of Cards. Andrew Lincoln picked up a Critic’s Choice Award nomination for The Walking Dead — will he repeat that success at the Emmys? How about Boss‘ Kelsey Grammar? And don’t forget Timothy Olyphant, who snuck into the race two years ago for Justified — could he make his way back on to the list? UPDATE: When the Emmy ballot was released it was revealed that Bates Motel‘s Freddie Highmore was submitted as Supporting Actor, instead of in the expected Lead Actor category. While this decision makes no sense to me — Highmore plays Norman Bates, clearly the centerpiece of the show –I have moved him to my list of Best Supporting Actor nominations. Most likely to reap the benefit of Highmore’s absence from this category? The Americans‘ Matthew Rhys. This entry was posted in Television and tagged Bryan Cranston, Damian Lewis, Emmy Awards, Freddie Highmore, Hugh Bonneville, Jon Hamm, Matthew Rhys, Michael C. Hall, Television, Timothy Olyphant. Bookmark the permalink. I would love for Matthew Rhys to sneak in their for The Americans, but your list is probably the ones that will get nominated. If Freddie Highmore doesn’t get a nomination, though, I riot.